The first published work of acclaimed Canadian author Robert Boyczuk. Praise for Robert Boyczuk "The Book of David is an odyssey through realms of science fiction, fantasy, and sheer mind-bending madness. Robert Boyczuk has crafted an epic. Creation mythology and dystopian fiction might not ever be the same after this collision." "Boyczuk is a very talented writer. His characters are complex and charismatic. The world he created is fantastical. And the story reveals the flaws of religion and beauty of faith." "Boyczuk builds up his hauntings and often gruesome metaphors and imagery from the base of his stories' human relationships, which imbues his fiction with an uncanniness that mimics the feeling of being trapped in a maze-like dream. Readers need not worry, however. The horror here is very real--Boyczuk just wants you to have a little fun finding it." "Boyczuk has a real knack for creepy, Twilight Zone-style atmospherics. The scary stuff is often made more threatening by being kept just out of sight, concealed in shadows or half hidden behind a window. [His] stories all have a twist--a turn of the screw--that breathes new life into some of the old forms and results in fiction as clever as it is entertaining." "Robert Boyczuk is a supremely talented short-story writer." 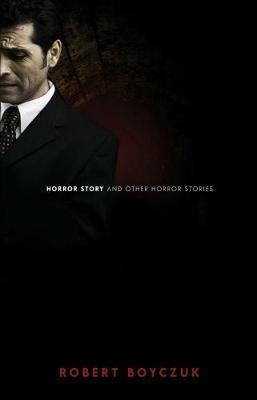 Robert Boyczuk is the author of Horror Story and Other Horror Stories, a critically acclaimed short story collection about love, grief, and loss, which is also available from ChiZine Publications. His website is located at: boyczuk.com.